The staff and students of Tall Pines School are caring and nurturing people who support one another in their quest for independence, a sense of community, and a love for lifelong learning. The staff and students of Tall Pines School are caring and nurturing people who support one another in their quest for independence, a sense of community, and a love for lifelong learning. Children need emotional security in order to learn, and at Tall Pines School, we give the children this emotional security by allowing each and every one of them to feel important and cared for. If you don't want your child hugged, don't send them to Tall Pines School. Compassion and understanding is important for everyone, and most of all, for children. The development of empathy and emotional intelligence is essential. The Tall Pines School facility is kept clean and orderly so the children within its walls can be supported in their quest to have order in their mind. It will be a safe environment - both physically and emotionally - in which they can truly become lifelong learners. Lovely and appealing, yet challenging surroundings encourage users to care for it, and that beauty enhances the respect for self, others and the environment. Children will continue to be the focus of the ongoing development of all of our indoor and outdoor environments. 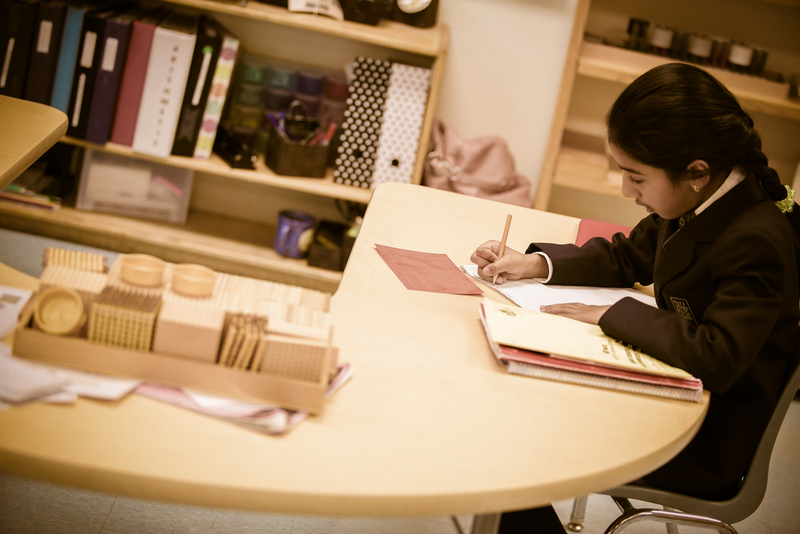 High standards in academics and social behaviour are expected from all students of Tall Pines School. Children are expected to be the best they can be - to reach their potential through being exposed to constant challenge and developmental growth. Our ideal student is one who seeks constantly to improve himself, physically, mentally, emotionally and academically, and has the skills necessary to be accepted as a contributing member of our society. A child is more than just the sum of the parts. We seek to develop the whole child into a well-adjusted human being. Looking at all parts of the individual - the physical, intellectual, artistic and creative aspects of the child will all be developed in a way which will enable the child to be successful and have strength of character, while respecting one's self, others and the environment in which he lives. We aspire to develop children who can contribute to the overall effort of the group by using suitable conflict resolution techniques. Students are expected to work well with other individuals in diverse situations. We want our students to display effective interpersonal communication skills and to demonstrate leadership in all interactions. The Tall Pines School community includes not only students and teachers, but support staff, parents and relatives who choose to join us. Our founder Elaine Flett, started the school in 1987 with the vision of a community of supportive individuals who do their very best to demonstrate compassion. That vision is very much alive, with the programs and facilities that exist today, under the guidance of a team of superb faculty members, and with parents and other family members being considered an integral part of our community. Everyone is expected to demonstrate respect, compassion and a kind approach to nurturing every child's optimal development. Many individuals associated with Tall Pines School consider themselves to be lifelong learners and believe that we should all learn new things daily in order to grow and develop as human beings. Modeling that way of life for children encourages them to also become life long learners. To this end, faculty members are encouraged to share their passions. Children are to be awakened to the beauty, truth, and morality of the human environment. Staff are expected to demonstrate their excitement and their commitment to a life of learning. Teachers are expected to convey programs that encourage the development of the essential skills for life. Every child’s life is full of possibility. We seek to awaken the child to the possibilities in his or her life. To provide a safe, supportive, nurturing environment where all children are encouraged to acquire, to the best of their ability, the basic knowledge and skills that are fundamental to their education. To help each child develop and maintain self-confidence and self-esteem as an independent learner, and encourage the skills necessary as an interdependent member of the Canadian society. To emphasize core virtues in an ethical mind, promoting excellence in living, as well as learning. To promote the development of the child’s character as a healthy, unique and integrated personality. To have our students begin to understand that everyone lives within limits. Along with freedom, the rights of others must be sensitively respected and that all parts of school life are governed by high standards. To encourage and develop strong skills of communication. To develop a respectful mind where the student has a sense of respect for oneself, others, and the environment. To encourage intellectual curiosity, to instill a desire for excellence, and to foster a love of learning. To accept and address challenges in learning. We consider that mistakes are simply a stepping stone to success. To address the needs and encourage the growth of the “whole” child, not only the academic needs of the child. To have a sense of well-being.